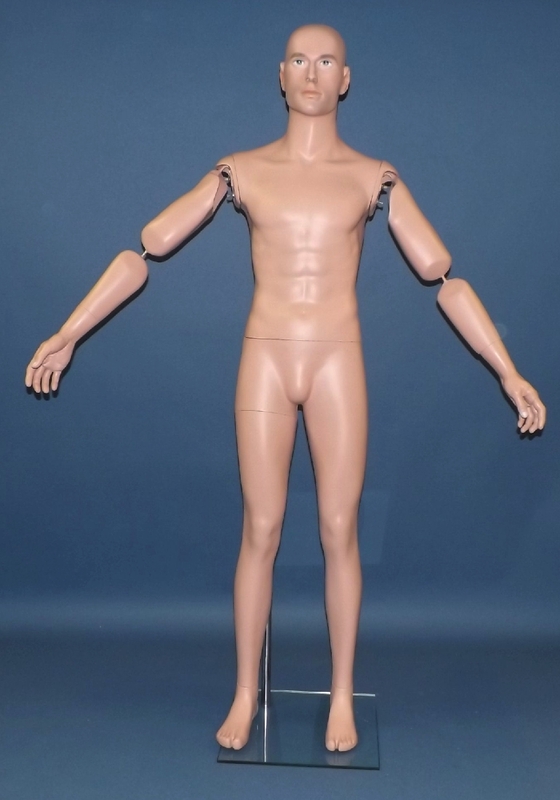 Pair of articulated arms for male Caucasian mannequins. 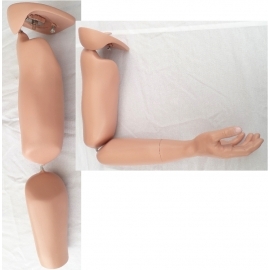 Product on this page only includes pair of articulated arms. Mannequin as seen in pictures is not included in purchase. Articulations at the elbow and shoulder. Forearm, upper arm and top shoulder mounting plate interlinked through solid steel rod, extremely rigid but soft enough to be bend into shape to allow for multiple various poses. Each posable arm is able to support a charge of a 2-3 pounds and keep the pose without bending back. Arms articulations can be bend multiple times. 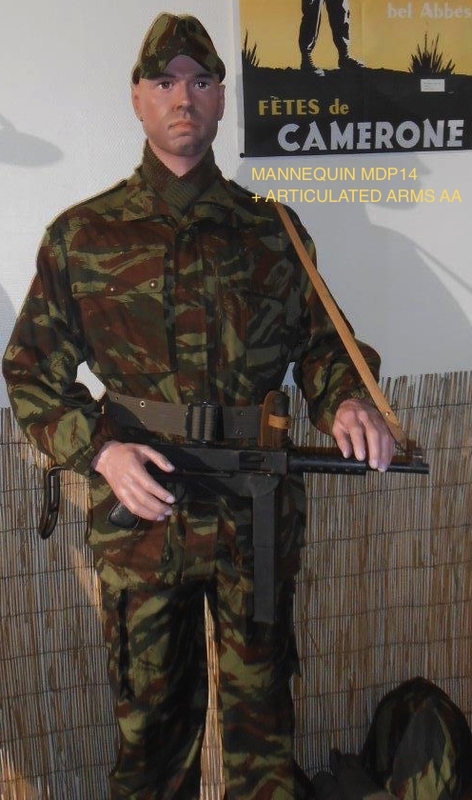 Arms fit on all Yanks Mannequins Caucasian male mannequins bought after June 2015, and can be adapted on Yanks Mannequins Caucasian male mannequins sold before June 2015 by drilling a hole in upper shoulder metal plate. Arms can also be adapted on other mannequins that have a standard arm hook mounting receptacle by drilling a hole in upper shoulder metal plate. Arms are mounted by hooking up the arm upper attachment plate to the shoulder receptacle and tightening the locking nut. Arms made of reinforced fiberglass and painted with a flesh tone flat paint. 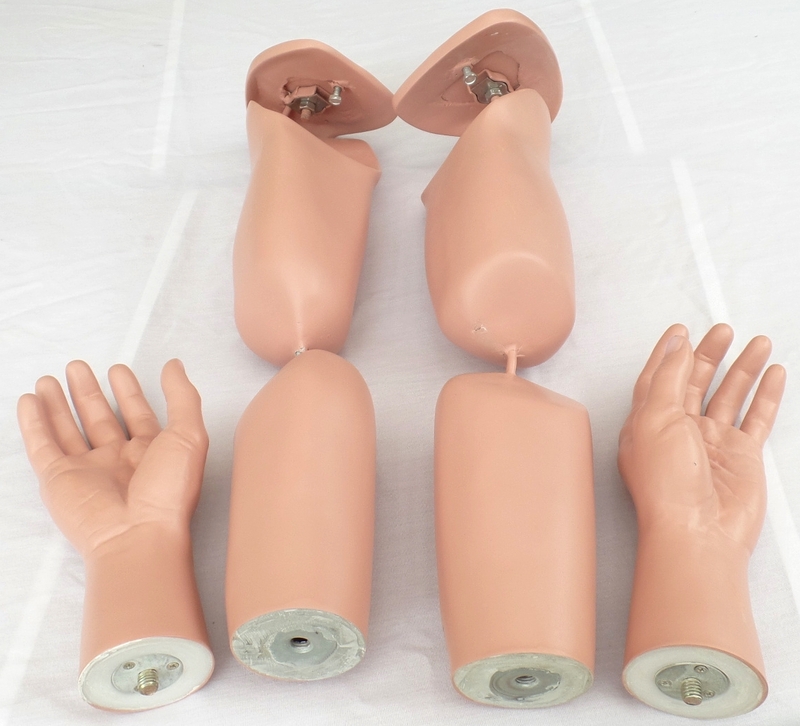 Pair of articulated arms purchase includes one pair of hands. Arms sold in pair only.